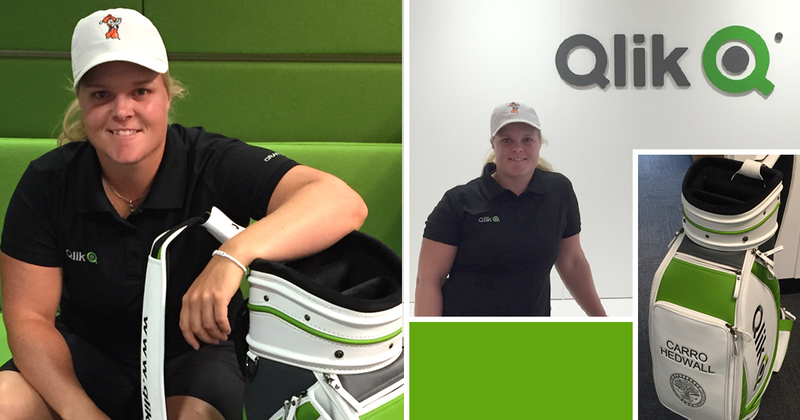 Qlik is proud to be the official sponsor of LET and LPGA TOUR Golfer Caroline Hedwall! Golf isn’t all that dissimilar from data analytics: both require a steely focus, a sharp eye for details and the occasional projectile thrown out of frustration a fair distance from where you started. There is a certain joy to launching a Titleist 200-300 yards into the distance, but the best in the world are the ones who can consistently get it to land on the green. At Qlik, we have allowed our customers to “land on the green” consistently since 1993. So we figured, what better way to recognize these shared values than to announce the first Qlik-sponsored LET and LPGA TOUR Golfer: Caroline “Carro” Hedwall. Much like Qlik, Carro was born in Sweden. She currently competes in both the Ladies European Tour (LET) and the LPGA TOUR and previously established a decorated career at Oklahoma State University. Among other accomplishments she was a 2010 NCAA Individual Champion, 2010 NGCA Player of the Year, 2010 Golfstat Cup Winner, 2009 and 2010 First-Team All-American, and Big 12 Player of the Year in 2009 and 2010. 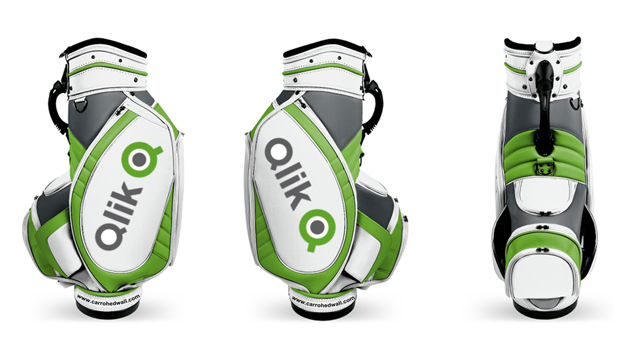 #Qlik has signed its 1st #LPGA Golfer! Say hej to Carro Hedwall & check out her new gear! More recently in her professional career, she became first player in Solheim Cup history to win five matches, helping lead Team Europe to a surprising victory over Team USA (2013). While all of these accomplishments are an impressive list for a professional career of just five years, we thought the only way to dig deeper would be to create a more accurate picture of her career through statistics from LPGA.com. Recently Carro visited Qlik headquarters in Radnor, Pennsylvania and signed her “letter of intent” with Qlik in advance of the 2015 U.S. Women’s Open event in Lancaster, Pennsylvania. I think I speak for the company when I say we couldn’t be happier with her selection: Welcome to #TeamQlik! Be sure to cheer Carro on as the event will be broadcast starting on July 9 on Fox Sports 1 and Fox Sports here in the United States! To learn more about the previous 67 years of the US Women's Open, keep scrolling as we have included some new interactive charts that analyzes past winners, locations and winning scores relative to par year-over-year.